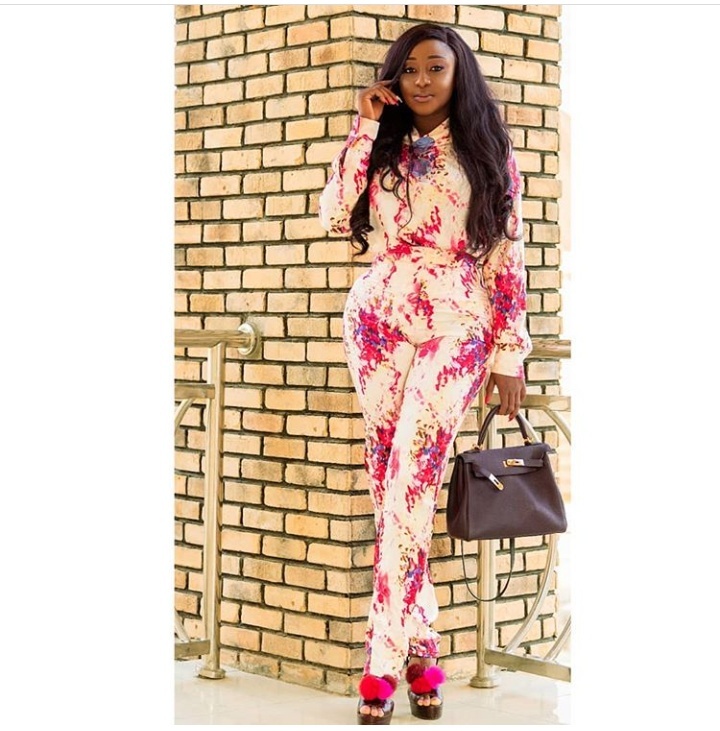 Actress Ini Edo steps out in beautiful figure hugging outfit rocking her curvaceous shape fabulously. She rocks two-piece outfit in chic top and trouser. She paired her look with a pair of black heeled shoes with pink flower and a black designer bag.